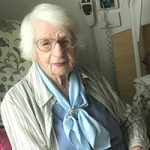 Late of Redcliffe, formerly of Sydney, passed away peacefully on 22nd January 2019, aged 102 years. Dearly loved Sister, Aunt, Great Aunt, Great Great Aunt and Friend to many. Proud member of the Australian Army Nursing Service (AANS]. A service to remember Olga’s life is to be held at Traditional Funerals Chapel Redcliffe, 17 Anzac Ave Redcliffe on Thursday 7th February 2019 at 12 noon. Donations to The Australian Melanoma Research Foundation in lieu of flowers.